Guizhou province in southwest China is already home to seven of the 10 highest bridges in the country. And the Beipanjiang Bidge, now the world’s highest, has just opened to traffic. Clearly with a good head for heights, CCTV's Liu Yang visited this latest example of how Chinese engineering now ranks among the best in the world. The Beipanjiang Bidge, now the world’s highest, has just opened to traffic. Equivalent to a 200-storey building, Beipanjiang has just overtaken the Sidu River Bridge in Hubei province to become the world's highest. China has completed many noteworthy feats of engineering in recent years. Now another milestone has been passed in the field of bridge construction. Walking on the bridge above the gorge, one appreciates what cutting-edge technology has made possible. The bridge connects the mountainous provinces of Guizhou and Yunnan. It’s expected to shorten the travel time between the two places to an hour and a half from five hours in the past. 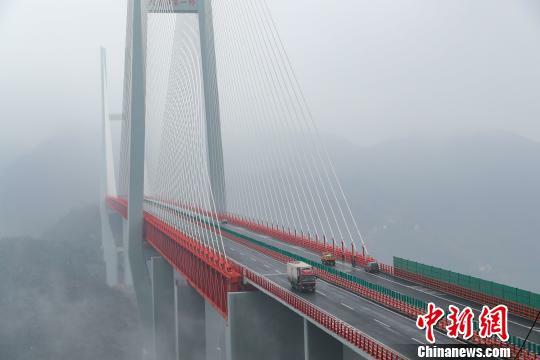 The bridge, which spans the Beipanjiang Valley, is part of an extensive highway linking Hangzhou City in eastern China's Zhejiang province to Ruili City in southwestern Yunnan province. Construction of the massive suspension bridge began in 2013, at a cost of around 1 billion yuan or 143 million US dollars. "In October 2013, the Ministry of Transport approved the Beipanjiang Bridge and gave us 8 point 9 million yuan in scientific research funding," said Zhou Ping, Director of the Beipanjiang Project. "Our project provided match-funding of around 6 point 1 million yuan, bringing the research fund to around 15 million. Many institutes, including Jiaotong University, Guizhou Highway engineering group, and the Guizhou office of transportation joined together to conduct research and development. We developed a new kind of technology called cantilever erection by longitudinal launching, and this significantly shortened construction time." Experts say construction was affected by wind, requiring a high degree of precision. Normally, crews transport pre-assembled sections and install them on the bridge. But on this project parts were assembled on-site. The engineering side also presented many challenges. "Where to place the bridge piers was a problem. The gorge here is over 500 meters deep, so how are we going to design the structure of the bridge to deal with the strong wind field problem?'' 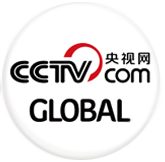 said Liu Bo, deputy chief engineer, CCCC Highway Consultants Co., LTD.. Despite these challenges, the bridge is now part of the highway network in Guizhou, integrated into the regional grid in southwest China which includes the provinces of Sichuan and Yunnan as well as Chongqing municipality. The increased traffic flow through this region thanks to the Beipanjian Bridge is expected to boost logistics and attract new investment.